January 28, 2019 Resident Evil 2’s free Ghost Survivors DLC will launch on February 15. Resident Evil 2 is already a hit, and it’s getting free DLC very soon. Capcom has just confirmed the Ghost Survivors release date, and you won’t have to wait long for more survival horror – the triple pack of side campaigns will be out on February 15. That does mean you don’t have long to see the Leon and Claire endings before more content is upon us. Capcom describes these as a series of “what if” stories featuring the gun shop owner, the mayor’s daughter, and an Umbrella soldier. Those campaigns will be titled No Time to Mourn, Runaway, and Forgotten Soldier. A Japanese livestream (translated by ResetEra) last week suggested that there’ll be a sort of story mode associated with each campaign as well as a more replayable, randomised version where you can unlock new weapons. We’re also getting something goofy with the ‘98 Classic’ costume set for protagonists Leon and Claire. The costumes will return the characters to their former low-poly glory, making Leon in particular appear more Action Man than action hero. The costumes will initially only be available in Japan as an attachment to promotional items, but will be made free for everyone from March 22. Capcom officially confirmed the release date on Twitter today, along with some new screenshots. You can check out our Resident Evil 2 review if want to know exactly why Capcom’s spooky remake is so good, but judging by early indications of the game’s sales on Steam, plenty of you have already found out firsthand. 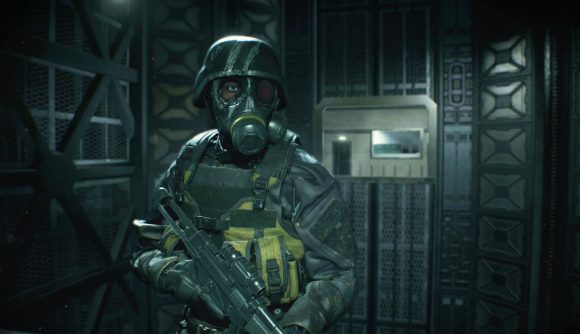 If you’re still stuck on the base game, check out our Resident Evil 2 guide, or our rundown of all the safe combinations. There are some bonus campaigns already there, too – find out how to unlock the 4th Survivor and Tofu mode. You’ve still got plenty to play ahead of the new DLC’s launch, but it’s good to know there’s more content coming down the pipe – especially since it’s free.